Mumbai: Filmmaker Vishal Bhardwaj is known to make movies adapted from books. He has adapted Ruskin Bond’s stories for his movies – The Blue Umbrella (2005) and 7 Khoon Maaf (2011). His famous Vishal trilogy of films based on William Shakespeare’s plays, Maqbool (‘Macbeth’), Omkara (‘Othello’) and Haider (‘Hamlet’) have won plenty of critical acclaim. 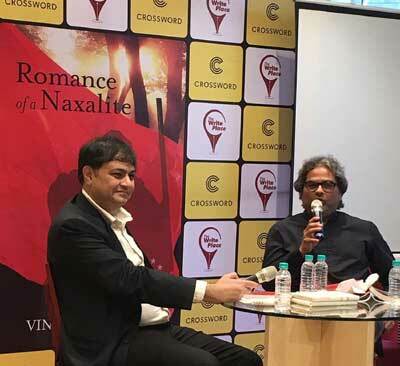 Hence, it was interesting to see him discussing the book “ Romance of a Naxalite”, with author Vineet Agarwal, Special Director of Enforcement Directorate. A very keen and perceptive audience turned up to listen and participate on a languid Sunday morning. Set against the backdrop of the Naxalite movement, which first came to the forefront in the late 1960s,with the left-wing revolt that took place in West Bengal, the book is a tale of innocent love and youthful ambition caught in the cobweb of a well-oiled industry called Naxalism. 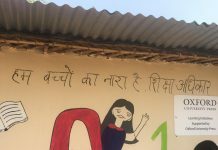 Most urbanites, in India, however cannot identify with Naxalites, even though it is one of the greatest threats to law and order within India. The author has humanised, and portrayed Naxalites from the point of view of a common tribe. Hence, the book evokes strong emotions, and makes for lucid reading. So will books like these bring about a revolution in India?